Creating a Kitura server in Swift is pretty cool, but it’s even cooler to deploy it live, in the cloud! You want it scalable and load-balanced, so it’s always available. And you want to be able to monitor it. Kubernetes is a popular platform for deploying and managing any application composed from Docker images. And Kitura apps come with everything you need to build a Docker image, then deploy to Kubernetes. Note: The word kubernetes is ancient Greek for helmsman, so think of it as a system that steers the container ship that is your app. You deploy apps with the Helm package manager: the local Helm client interacts with a Tiller server, which interacts with Kubernetes. Tiller installs, upgrades and uninstalls Helm charts — application definitions that specify how to deploy your app in Kubernetes. In this tutorial, you’ll build and push a Docker image for an app named EmojiJournal to Docker Hub, then deploy it to IBM Cloud Kubernetes Service. 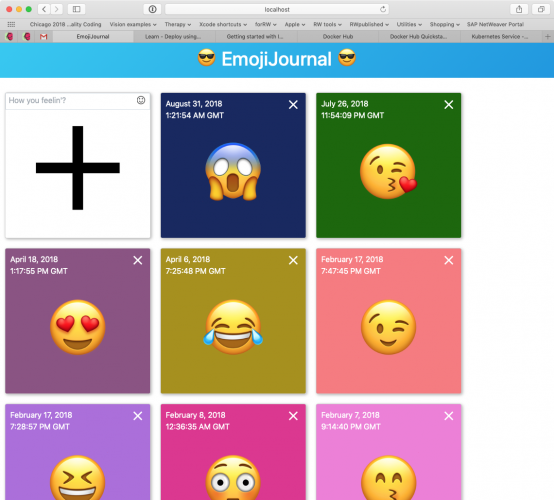 EmojiJournal is a pre-built Kitura app that allows you to save all your favorite emoji. Click the Download Materials button at the top or bottom of this tutorial to get the project files you’ll use to build the sample Kitura app. 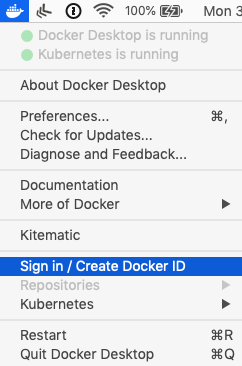 If you don’t have a Docker account, go to Docker’s web page, click the Please Login to Download button, create an account, then respond to the activation email when it arrives. Note: If the direct download link above doesn’t work, download from the Docker download page after you activate and sign in with your Docker account. Sign up for an IBM Cloud account, or click the Log in button if you already have one. Note: This is a two-step process. First you sign up for an IBMid and then for an IBM Cloud account. If your IBM Cloud account is not confirmed within a few minutes, switch to using Chrome to trigger the confirmation email. It looks like the IBM site might not be fully-compatible with Safari. At this point you will have to use the Upgrade button to upgrade from the free account by providing credit card details, but once you have done that, there is a Lite plan which provides one cluster for free. You won’t see any feedback — just wait a short time and you will be directed to the page shown below. You’re limited to one free cluster, and it expires in one month. Note: Use the handy “copy” button. 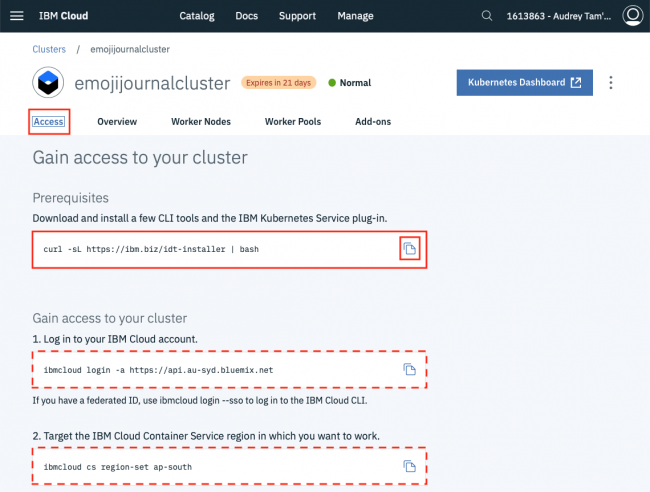 The Prerequisites command installs helm, kubectl and ibmcloud CLIs. Commands 1 and 2 are customized with the IBM Cloud and Kubernetes regions that match your location. I’m in Melbourne, Australia so my commands specify au-syd and ap-south. Scroll down if you need to see commands 3, 4 and 5. In this section, you’ll build a Docker image for the sample app, then push it to your Docker account. Note: Check that your full path doesn’t contain any spaces, like Tutorial Projects/Deploy Kitura/starter/EmojiJournalServer — some deeply-buried commands don’t like odd characters in path names. To play it safe, stick to CamelCase for all enclosing folders. This directory contains the Dockerfile and Dockerfile-tools files you’ll use to build your Docker image. 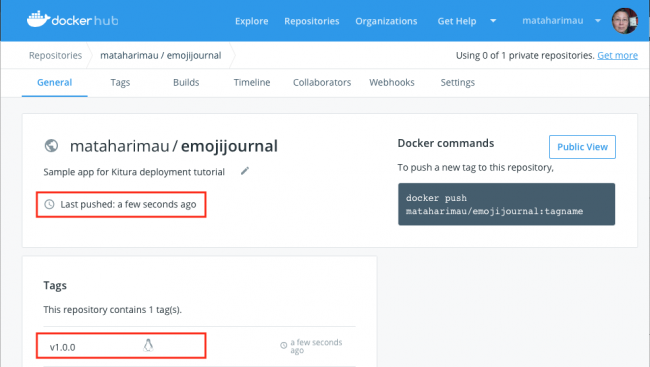 docker build -t emojijournal-build -f Dockerfile-tools . You first build the emojijournal-build image that you’ll use to compile your app. docker build -t emojijournal-run . You’re finally building the image that you’ll push to Docker Hub, using the default Dockerfile. 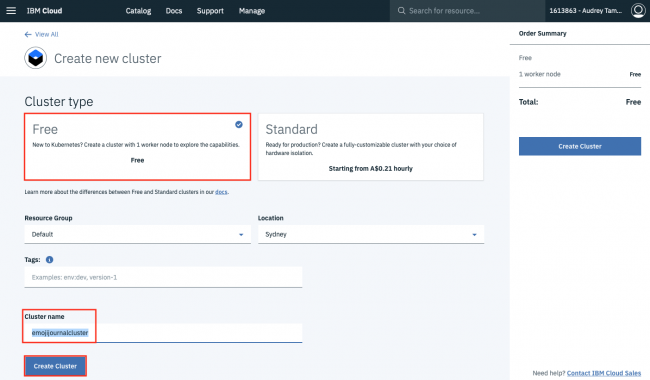 The app is already hooked up to a CouchDB (IBM-alias Cloudant) database, with entries added by David Okun, when he recorded his Kitura video course. Go ahead and add your own emoji: click the smiley button to open the character menu, select an emoji, then click the big plus sign. It takes a few seconds to update the database and reload the page to show your new emoji. Note: To stop the server, press Control-C in the terminal window where the container is running. The --rm option in the docker run command removes the container from your system. In a browser, login to Docker Hub and create a new repository named emojijournal. You’re creating a tag that refers to your local Docker image — the tag matches your new repository name, and adds a version number. Note: Kubernetes best practice is to create Docker tags from version numbers or source control commit hash values, not latest. 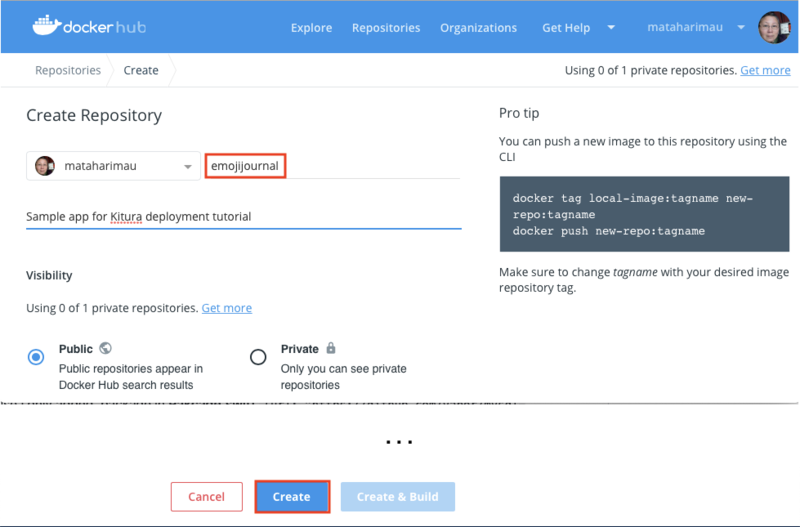 This ensures that Kubernetes pulls and deploys any new images you push to Docker Hub, because the new image has a different tag. 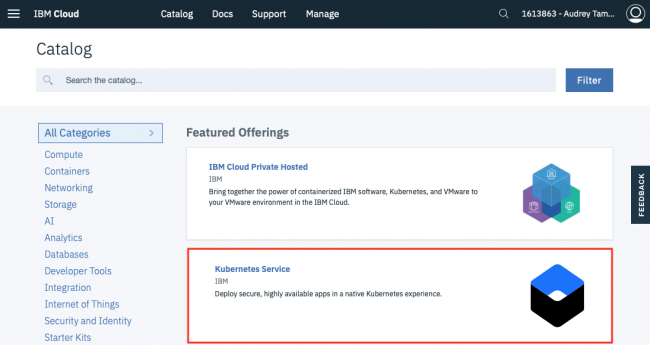 OK, you’re all set to deploy your app to your IBM Cloud Kubernetes cluster! All you need is a Helm chart … what? how? No worries, it’s already in your Kitura app! You just have to customize it with the name of your Docker image. Kubernetes looks in Docker Hub by default, so you don’t need to specify the URL — just write the image name as you would in a docker pull command. This command configures the local Helm client and installs the Tiller server into your Kubernetes cluster. Tiller interacts with Kubernetes to install, upgrade, rollback, query and remove Kubernetes resources based on your Helm chart. helm install --name emojijournal . Note: If this fails with Error: could not find a ready tiller pod, run tiller in your terminal, Control-C to stop it, and then try again. Note: Your cluster IP and port values will be different. The app is starting up, so the values of CURRENT, AVAILABLE, READY, etc. are all 0. Deployment: An API object that manages a replicated application. Cluster: A set of machines, called nodes, that run containerized applications managed by Kubernetes. A cluster has several worker nodes and at least one master node. Pod: The smallest and simplest Kubernetes object. A Pod represents a set of running containers on your cluster. A Pod is typically set up to run a single primary container. Node: A node is a worker machine, which may be a VM or a physical machine. It has an External IP address — available from outside the cluster — and an Internal IP address, routable only within the cluster. IBM Cloud’s names for these are Public IP and Private IP. To access your application, you have to find the external IP address of the worker node it has been deployed to. Where is it? Time to go exploring! Spoiler: Grab your NodePort value — you’ll need it soon! Our Server Side Swift with Kitura book uses a PostgreSQL database for EmojiJournalServer, and shows you how to deploy PostgreSQL and EmojiJournalServer to Kubernetes. This is more straightforward than deploying Cloudant/CouchDB because there’s a Helm chart for PostgreSQL in the stable Helm repository. The CouchDB Helm chart is in the incubator. Both of these tutorials run Kubernetes in Docker, completely on your Mac. In this tutorial, you built and pushed a Docker image for your app, then deployed it to IBM Cloud Kubernetes Cloud Service, and accessed it in your browser. You used Kubernetes, Helm and IBM Cloud CLI commands, and the IBM Cloud dashboards. That’s just the start! When you deploy your own apps, you can add redundancy, load balancing, and monitoring with custom charts and graphs. Also, check out more server-side Swift tutorials! 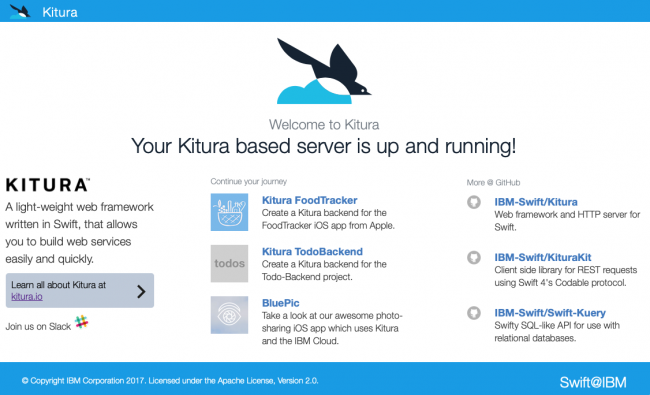 We hope you enjoyed this tutorial on deploying Kitura with Docker and Kubernetes. If you have any questions or comments, please join the forum discussion below!